Maria is a naturopathic doctor and a Program Director for LOFT Community Services, leading a program in Toronto supporting older adults with mental illness and addiction. 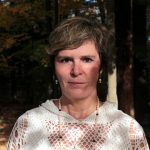 Maria trained as a medical doctor in Hungary and graduated from the Canadian College of Naturopathic Medicine in 1996. She has worked in the addiction field from a very early age, her first mentor in the field was Dr. Laszlo Levendel in Budapest in the early 1980s. Maria is passionate about supporting people with addictive behaviours on the path to recovery and on their journey to the best version of themselves. Maria draws her energy from yoga and nature. She enjoys forest hikes, rock climbing and bicycling. She has been living and exploring the Beyond Addiction program since 2016, having trained with Sat Dharam Kaur in Toronto and Owen Sound.